For the Wagner anniversary year 2013 BR-KLASSIK has published the audio-biography "Feuerzauber und Weltenbrand". The life of the composer is told in an exciting audio-biography in ten parts. 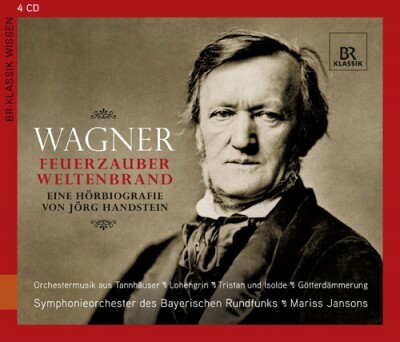 The 4-CD-Box also includes orchestral music from Wagner's operas, played by the Symphonieorchester des Bayerischen Rundfunks, conducted by Mariss Jansons.